I can certainly admire your determination to sell our community your biomass project as "green" or "safe". However, as WACE already pointed out, there is a difference between fiction and fact (see my guest column in the VDT on December 12, 2010). In the last couple months, WACE has provided the Industrial Authority and the community with a plethora of scientific literature and statements made by medical organizations that unequivocally state that biomass is neither "green" nor "safe". At the same time, neither you nor Mr. Ricketts have been able to provide up-to-date scientific proof to us to challenge the position that biomass is, in fact, dirtier than coal and bears significant health risks. Brad Lofton: "Please have anyone interested e-mail us directly." We enjoyed having you Tuesday night, and we were especially glad to have you attend on the night we planned to review the expert panel's testimony regarding the positive environmental, health and economic impacts of our project. We appreciate you agreeing today to provide all of that data (or at least links) on your blog plus the recent flurry of pro-biomass press releases. As you know, December has been very active with EPA and USDA releases promoting biomass plus GA Tech and Duke researchers announcing that renewable energy (including biomass) will save Southeastern U.S. ratepayers $23 billion a year by 2030. That's great news for residential and industrial consumers alike. The unanimous permission granted for the Gainesville, FL biomass facility was good news, and we were amazed at the large amount of support they received-from the FL State Department of Health, to the guardians of the Suwannee River basin, the U.S. Corps of Engineers, and numerous government and environmental groups in between. Regarding access to our panel info, we have already e-mailed our panelists' presentations to members of the public, and we would be more than happy to continue doing that. Please have anyone interested e-mail us directly. 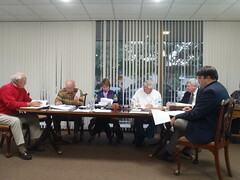 Here are videos of the regular public board meeting of the Valdosta-Lowndes County Industrial Authority (VLCIA), 21 Dec 2010. I videoed almost everything, except when I was speaking or they were answering. More posts later on some of the astonishing points arising from this meeting. Update 1 Jan 2010: more videos posted, with some comment. Still a few more to come. Update 2 Jan 2010: All the videos are there now, and there's a blog post with Dr. Teaf's slides, along with video of Brad Lofton saying "no way shape or form". I'm sure that every VLCIA board member has the best interests of the community at heart. Several of them invited me to contact them with any concerns. I will take them up on that invitation, and you can, too. 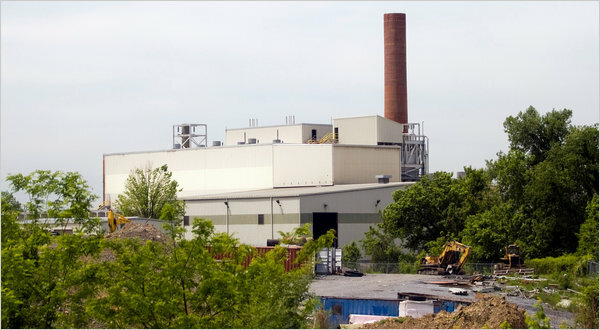 HARRISBURG, Pa. — Officials here decided seven years ago to borrow $125 million to rebuild and expand the city’s enormous trash incinerator, which the federal government had shut down because of toxic air pollution. There were contractor troubles, delays, cost overruns and squabbles. The city borrowed tens of millions more, shoveling good money after bad into the job. Over nearly a decade, officials at the Harrisburg Authority and City Hall made a series of decisions that sought to get the trash incinerator working and profitable, but which instead brought Pennsylvania’s capital to the brink of bankruptcy. The 2003 deal that took on $125 million in debt to repair the incinerator neglected to include a performance bond. Inexperienced firms were hired. Fees were paid for work poorly done. Loans were taken on disastrous terms. Officials were aided, or rather misled, by the advice of numerous attorneys, bankers and engineers apparently far more interested in collecting handsome fees than they were in protecting the interests of taxpayers. As a result, there is a deep distrust of the fundamental institutions that created this fiasco. While some of the seats have changed, many of the same people in government today had their fingerprints on these decisions. It's the same old boy network locally as approved Sterling Chemical, and the chair of the county commission at that time is now on the Industrial Authority. And the VLCIA has taken on what is reputed to be a $15 million bond issue. How big is Harrisburg? 50,000 people, same as Valdosta. What is Harrisburg considering? Bankruptcy. Who profited anyway? Local developers. All of the guarantees proved worthless. All of the fail-safes failed. What say we have the investigation now, before the fail-safes fail? Flashback to April 27th in Valdosta Georgia when Environmental Protection Division Air Branch Manager Eric Cornwell openly admitted to having NOT READ the air permit application for Wiregrass Biomass LLC's proposal to build a hotly contested 40mw power plant&emdash; during a Valdosta EPD hearing meant to evaluate those permits. I wondered during your re-presentation of slides you'd already said the entire VLCIA board had seen at the recent VLCIA biomass event, whether you would provide copies to interested parties, such as those sitting in the room, but you did not at the time. Considering the increasing amount of public interest in this topic, as evidenced by the attendance and questions at the VLCIA Rainwater Conference Center event, and by recent newspaper activity, probably the public would like to see those press releases directly from the VLCIA's web site. However, LAKE is always happy to link to relevant material, so if you will please send me the URLs of those press releases as you found them on the web, LAKE will be happy to link to them. 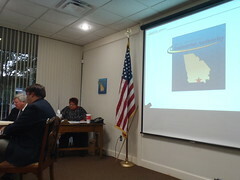 It was good to see you at the Valdosta-Lowndes County Industrial Authority Board Meeting on Tuesday evening. I encourage you to attend more often. I've attached copies of several recent press releases that we discussed during the meeting. I look forward to seeing these posted on your information exchange for folks to read. At 8:30 AM, I began receiving phone calls from Quitman, Georgia in the County of Brooks where the County Sheriffs Office was arresting citizens at random concerning the recent Absentee Ballot Problems. These arrests reminded me of the alleged problems Black Voters/Citizens have had with the GBI harassing them during their investigation before and during the last run off election. This included alleged actions by the GBI Investigators that local citizens complained about intimidation before, during and after the election. However little or no Public Media Attention was given to alleged Black Voter intimidation by local media. Moreover, little to nothing was published in the FREE PRESS surrounding citizen's fear from GBI Investigators. This was a major point of discussion when I along with a local Pastor from Valdosta, Georgia walked the streets to get a better understanding of what Brooks County Voters had to go through during the last election. Today's arrest will surely end up in the courts. The Valdosta-Lowndes County Industrial Authority (VLCIA) and Corrections Corporation of America (CCA) announced an economic development partnership for future construction of a private prison.